Anyway, today’s post is all about one of my favorite things in my wardrobe: this cargo vest from Old Navy. It was such a staple in my fall and winter wardrobe, but I nearly forgot about it this summer. After seeing a few blog posts featuring similar vests I had the urge to take it out of hiding and style it up for the hot weather. 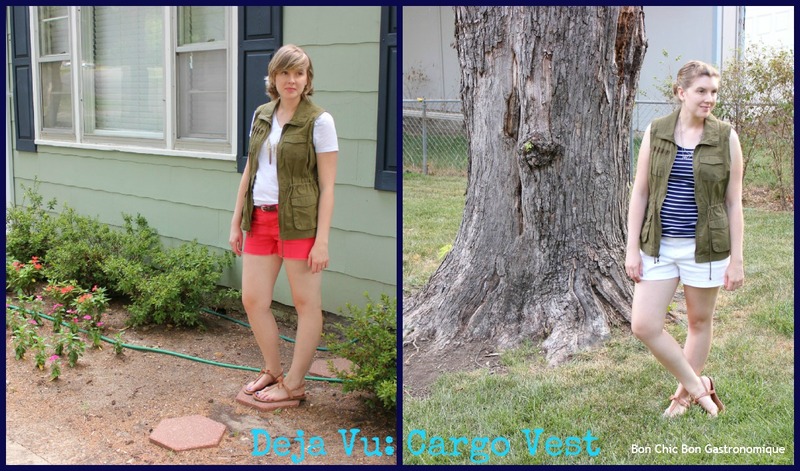 So today I have two summer-friendly looks featuring the cargo vest. I imagine that a denim vest would be a great swap for the cargo version as well. How would you style a vest for summer?